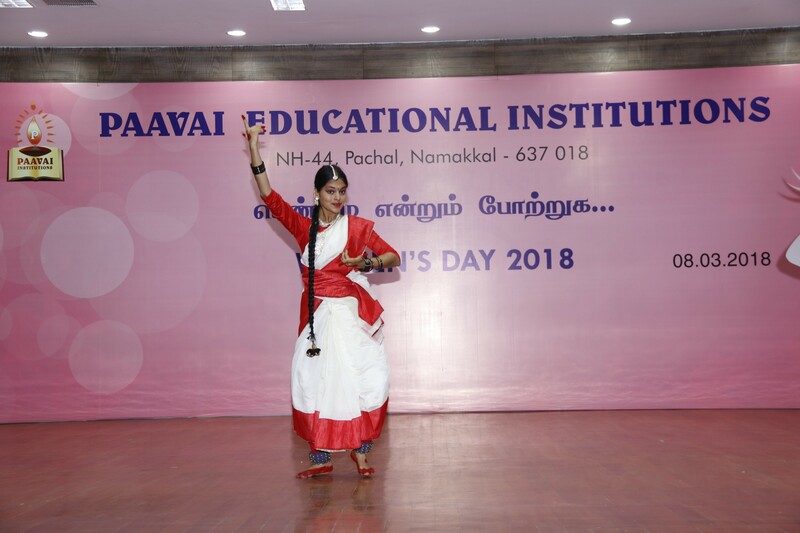 International Women’s day was celebrated on 08.03.2018 at Paavai Institutions on the topic “ Praise the Women”. 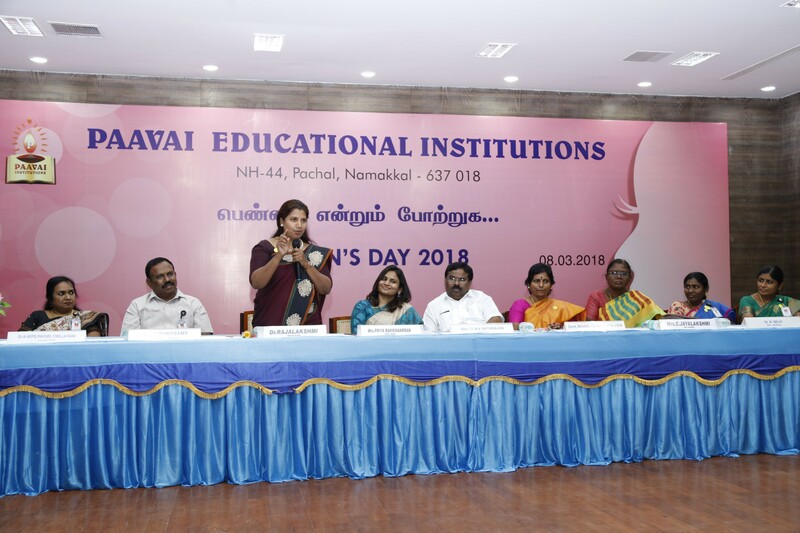 Mrs. Priya Ravichandran, the first women fire officer of Tamilnadu was the Chief guest of the function. 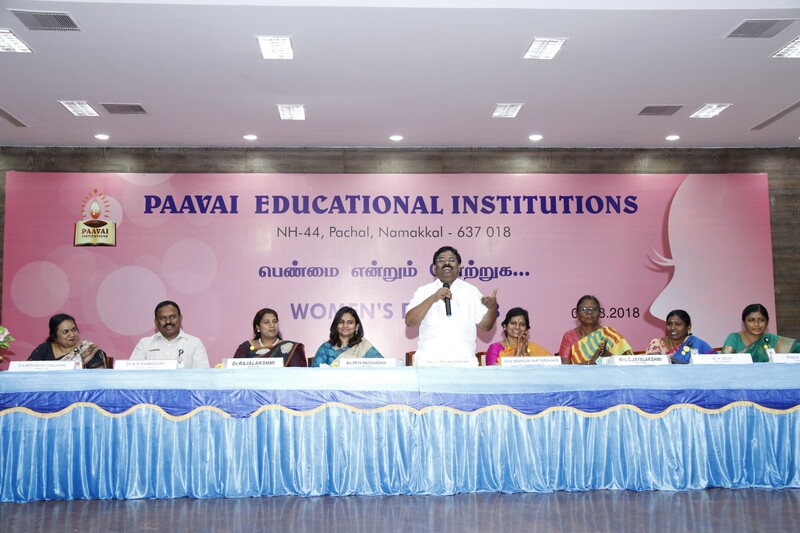 The Chairman of Paavai Institutions presided over the function. R.Dhanushiya of I- B.Com (CA) welcomed the gathering . 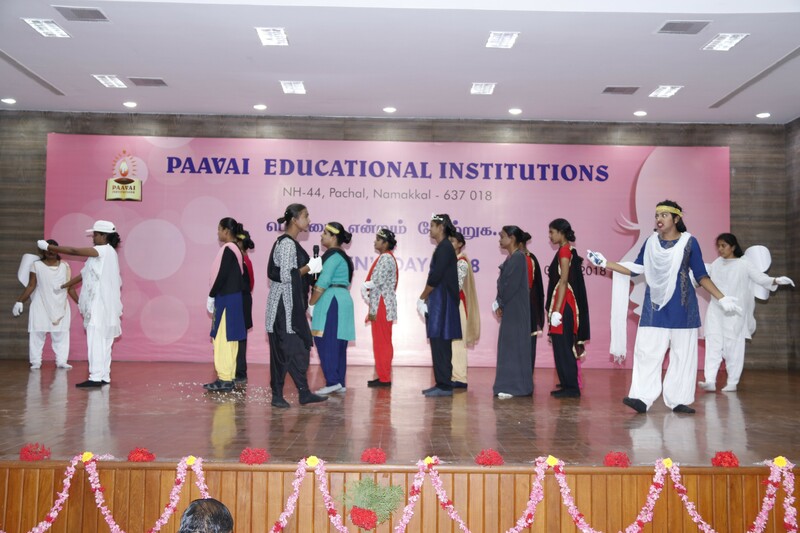 Along with the dignitaries Mrs. Mangai Natrajan, the correspondent of Paavai Institutions lighted the kuthuvilakku. 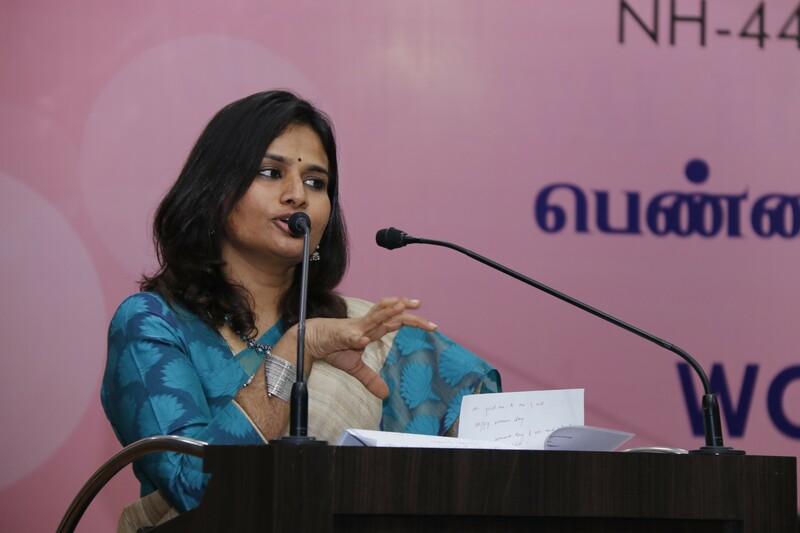 S.Shanmuga priya of II-M.A ENGLISH introduced the chief guest. 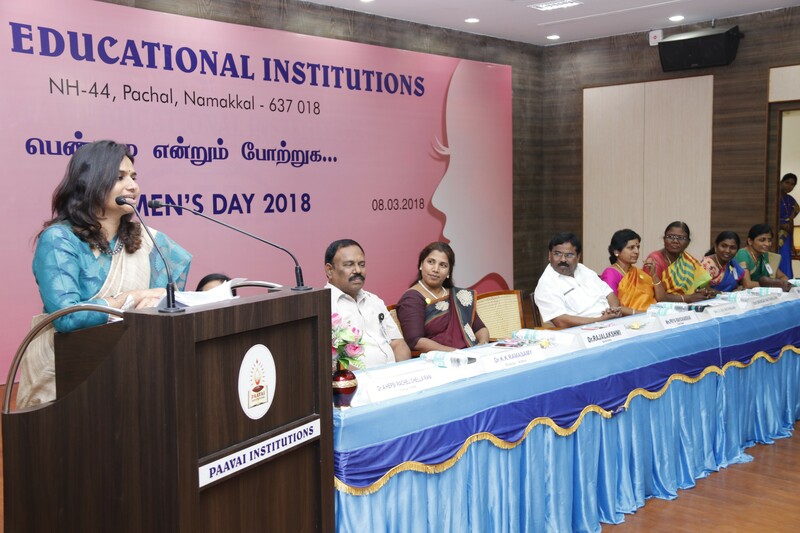 The chief guest, Mrs. Priya Ravichandran in her special address expressed her happiness to see enmass the valuable women of our country. 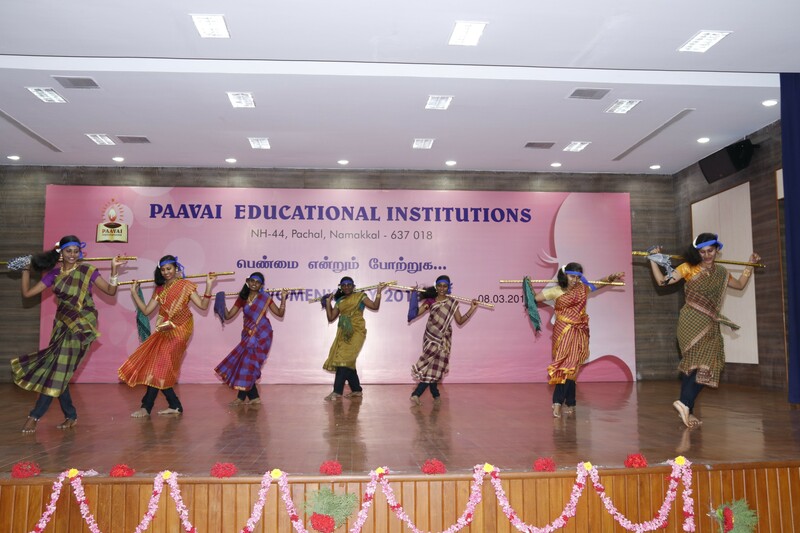 She said Pavai Institutions are on par with Anna university and IIT. 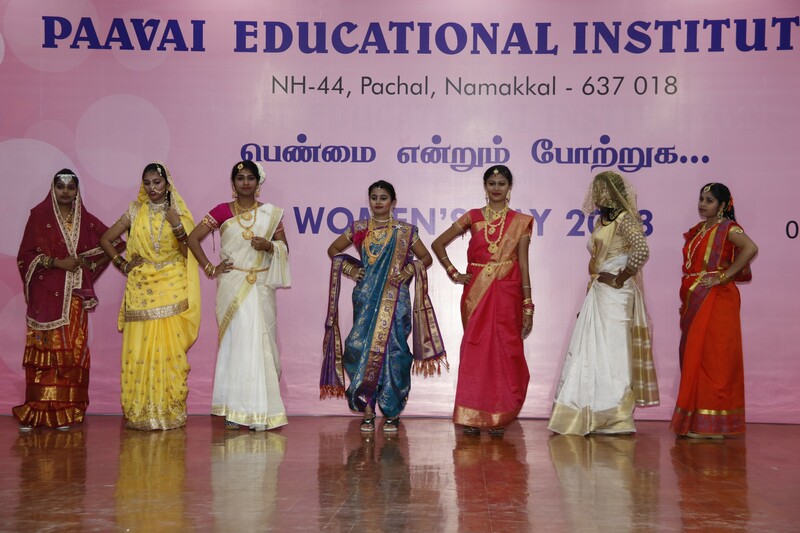 More over she appreciated the talents of Pavai Arts College students for their wonderful performance of culturals events. By seeing their talents she said that she get confidence on younger generation. 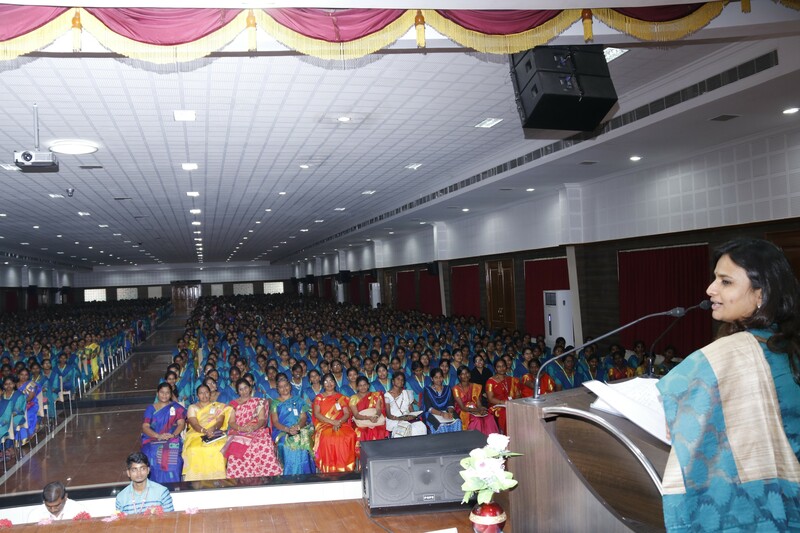 While addressing the students she said if women consider the opinions of others without self-confidence they cannot achieve anything. Girls by knowing fully about themselves and do their jobs with courage and kindness, no one can defeat them in any situation. The women who has beautiful mind and heart will lead their society and become successful. 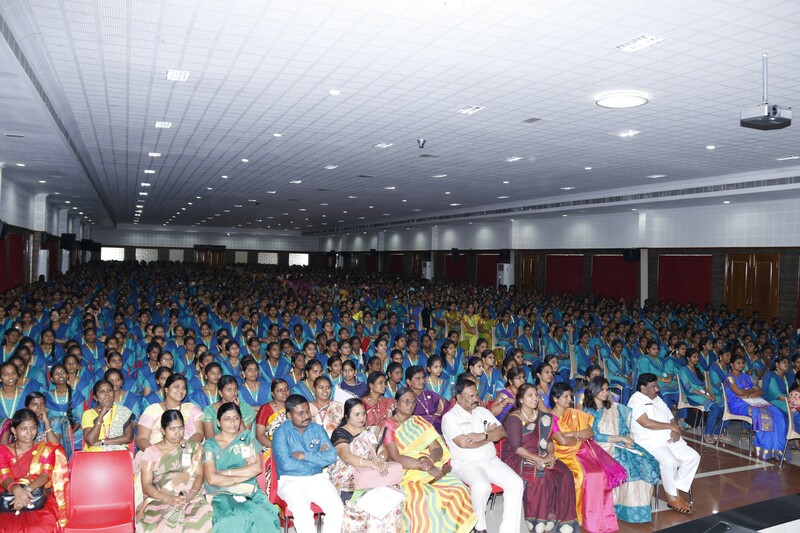 She also said by realising their own skills and strength and by taking efforts to develop them, women can achieve in any field they choose to work. She said “ when I entered the Fire service sector, I questioned myself what I can achieve in this sector considered as men’s domain. Then when I could develop courage and skills on par with men I could achieve many things in this field. So realise that there is nothing impossible in your life”. 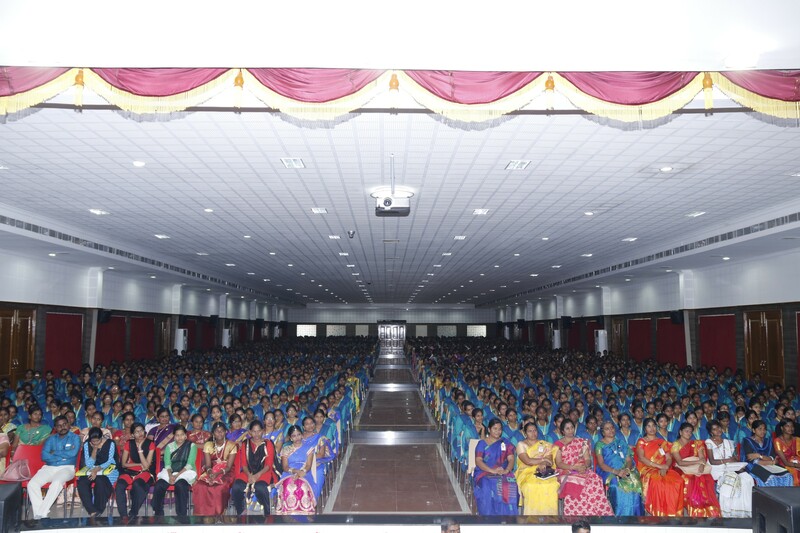 She advised the students that they should not think that they cannot do hard things. With perseverance and hard work the students can prove their success. Students should also do every work with perfection. The failures in life will strengthen the personality of the students. 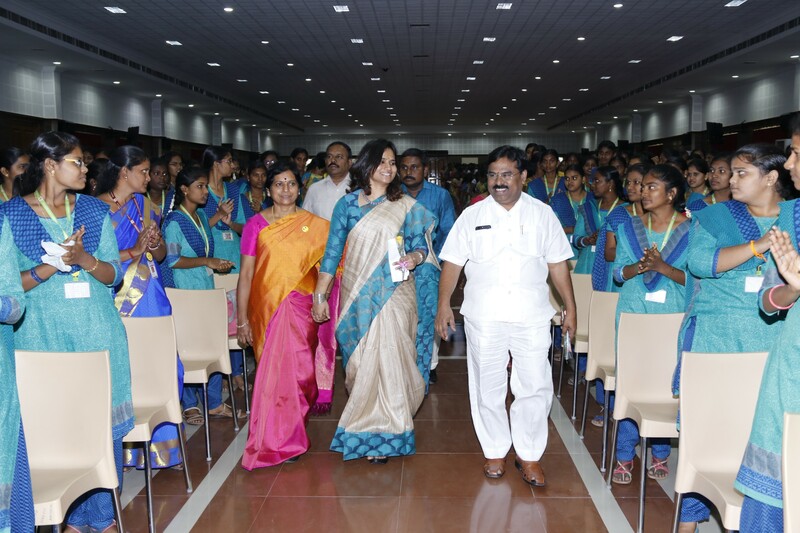 She further advised that the students without giving up, should strive to achieve success with confidence in mind. 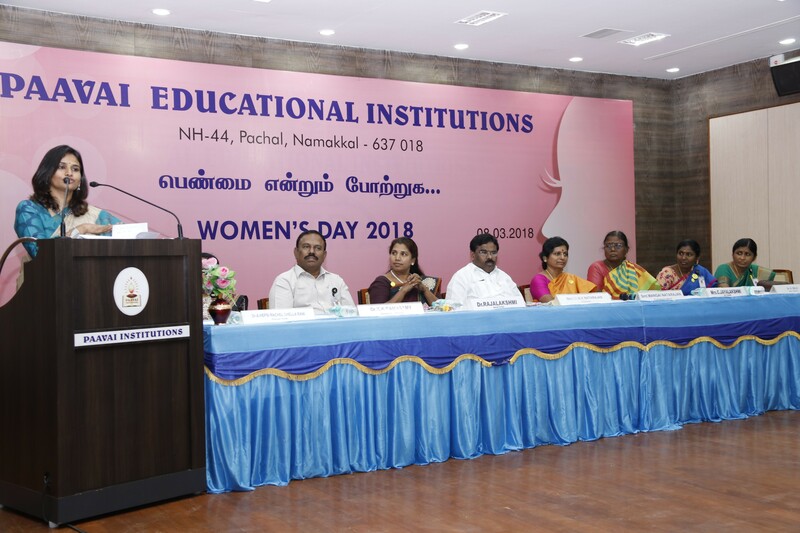 She felicitated the students that all students should be successful in family life and in society by being a beauty in mind and conveyed her international Women’s day wishes. 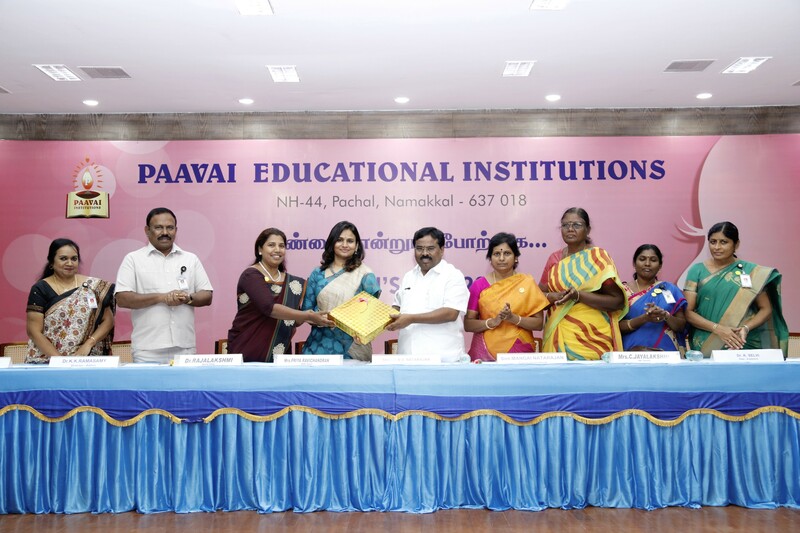 The speech was followed by the presentation of momento to chief Guest by Our Chairman Mr.N.V.Natarajan. 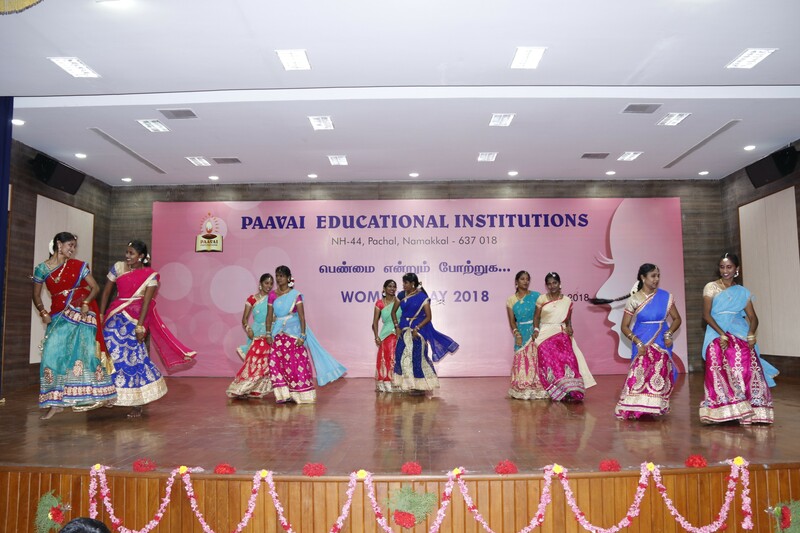 The programme also included the cultural events of students of Pavai Arts and Science College for Women. 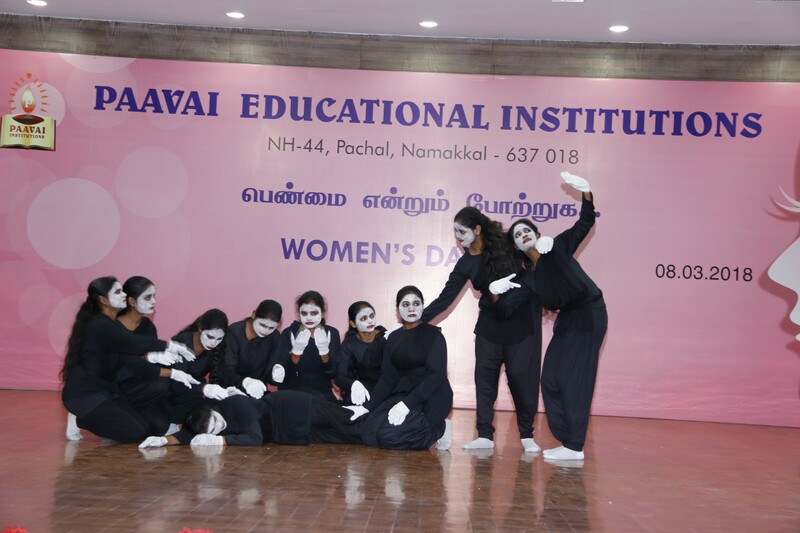 With the Vote of thanks by G.Bhavadharani of I B.Com (CA) the celebrations of women’s Day came to an end. 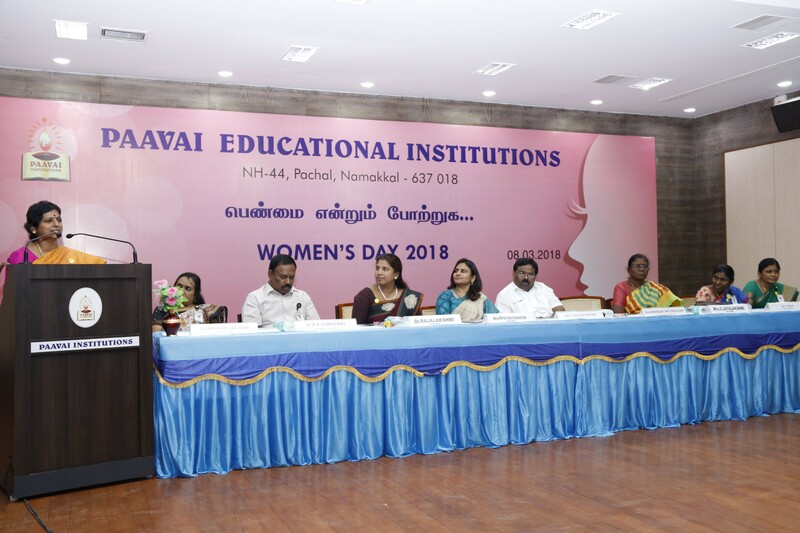 On the great occasion Dr.Rajalakshmi, Director Admin of Paavai Institutions, Deans, Principals, Heads of the various Departments, Professors, Staff and Students were present.